Monday – Friday: 7:30 a.m. to 4:30 p.m.
Airman Leadership School encompasses 24 Days of Training, making it a Total of 5 Weeks. 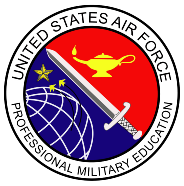 The instruction includes a series of lectures, open discussions, homework, exercises, writing and briefing assignments. All aspects of the four areas of instruction, including material in your Student Handbook are testable material. Graduation depends on a student’s ability to meet the minimum academic standards on all graded material, including academic exams, drill proficiency, public speaking, written assignments, and interpersonal communication.